Proc.No.1982/SSA /DEC/T4/2014 , Dated:lf...02.2015 SSA, Telangana, Hyderabad- Vindam Telusukundam Radio programme-Revised schedule for March 2015- communicated to all Primary and Upper Primary schools- Reg. Vindam Telusukundam" Radio programme schedule is modified in the "I' examination point of view. The programmes are being re broadcast for enriching of subject content among children. 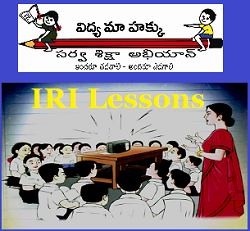 In this regard, the radio programme schedule has been revised for the month of March 2015 an<:lattached here with for communicating the same to all primary and upper primary schools.